South Africa’s socio-economic rights jurisprudence has a reputation for restraint, at least when compared to the boldest jurisdictions like India or Colombia. This relative judgement is accurate. But it should not obscure recognition of how far-reaching the Court’s quieter approach can sometimes be – especially when the approach is not embodied in one big-name judgment like Grootboom and so is harder for comparative scholars to detect. The best example of this is the Court’s device of meaningful engagement, and its most recent decision on the topic, Occupiers of Erven 87 and 88 v. De Wet N.O, handed down last month, is a telling illustration. It is also full of nuts-and-bolts interest to those around the world trying to strike the difficult balance between property rights and housing rights, and having to think about how courts should insert themselves into this complex arena. For those not familiar with meaningful engagement, s 26(3) of the 1996 Constitution contains the open-ended requirement that no eviction may occur without an order of court after consideration of all the relevant circumstances. (Meaningful engagement has also spread outside the eviction context, but I set that aside here). A 1998 statute helps to spell out what is required before an eviction order can be granted, as does a string of precedents which in some respects go beyond the statute’s requirements. Initially, the central idea seemed to be that evictions require sincere, respectful engagement between those seeking an eviction and those affected by it. But what might have become a merely procedural duty has attracted significant substantive components over time. For example, the Court has gone beyond the statute in the emphasis it places on the provision of alternative accommodation, and has postponed evictions while occupiers wait for local authorities provide it. The best way to think about meaningful engagement, accordingly, may not be as a procedural alternative to a substantive approach, so much as an exercise in institution-building: more than a test or a doctrine, the Court has sought to establish a mechanism. De Wet offers further confirmation that, while meaningful engagement is in the first instance an attempt to use a procedure to get the parties involved to work out a solution, the court’s place in the mechanism is both ultimate and significantly substantive. The unanimous judgment holds that the judicial obligation to decide whether an eviction meets constitutional standards is not lifted if occupiers consent to an eviction. De Wet is partly about what constitutes adequately informed consent, and rejects at least the thinner ideas of what that might require. But it is more importantly about making that enquiry secondary: informed consent may be relevant, and the parties might be able to propose settlements, but the judge must still independently assess the equities of the eviction. The decision also confirms just how far this independent judicial duty breaks with the more general norms of traditional adversarialism and passive judging. It holds the duty to evaluate the equities exists even if the potential evictees fail to raise or plead the relevant points adequately. And De Wet insists that if a judge is uncertain about relevant facts, she cannot make an eviction order until she has investigated. Her duty to decide for herself entails a duty to find out for herself if the parties do not supply enough information. Put another way, occupiers do not bear an ordinary onus to establish that the eviction would be unconstitutional, at least where they are as vulnerable and inadequately legally advised as occupiers often are. A traditional as-between-the-parties factual enquiry based on burdens of proof has retreated in favour of a more open-ended investigation into what is actually the case. Finally, De Wet is also notable for what it says – and does not say – about the two most common objections to the meaningful engagement device. The standard objection from progressive legal scholars is that the device is too procedural and does not do enough to spell out or guarantee concrete entitlements to alternative accommodation. The standard objection from property owners and proponents of market-based inner-city reform strategies is that meaningful engagement amounts to a substantial burden on investors, tying up their building in a potentially lengthy legal process during which their investments yield no income. The owner in De Wet, a Mr Calvin Maseko, had invested his pension in the building and by the time of the Court hearing was reduced to relying on pro bono counsel. The Constitutional Court’s response, one we have seen before, is to rule decisively on neither issue and instead to send the case back to the court of first instance (on an expedited basis, as a concession to the owner’s precarious financial position). This approach tends to please neither side of the argument, but the very fact that both sides have a fair point in the particular case is what informs the Court’s approach to the general problem. It is because serious interest-balancing will often have to occur that eviction cases are often about case-specific fact-finding, and the Court’s understandable view is that this should be done by the lower courts and not the 11-judge Constitutional Court bench. Perhaps the toughest question, in an issue that bristles with them, is what happens in all this to the all-things-considered question of what is the best housing policy. Isn’t the Court effectively deciding that society should spend significant resources on the engagement process that might be directed to housing itself? How much are the burdens of meaningful engagement obstructing inner-city property development without making the inner-city any more hospitable to the poor? And – bringing those two questions together – are we near the point where it might be preferable all round, including from the perspective of the dignity of the occupiers, if investors were required to contribute more to low-cost housing directly in some way instead of paying for the litigation and the waiting while the state provides alternative accommodation? The immediate problem is not that we lack good answers to these admittedly difficult questions, but that there is no sign anyone involved in developing the meaningful engagement device is asking them. I am more sympathetic than most to the institutional arguments in favour of the Court’s engagement approach. The tendency of legal scholars to see meaningful engagement only as a weak substitute for a concretely detailed right to housing rather than an enduring mechanism is part of the reason the all-things-considered questions about the device are neglected. I also believe the device looks different if we think of its costly journeys up and down the court structure might lessen over time as the mechanism is worked out, rather than as an enduring expensive consequence of Constitutional Court avoidance. But if we are interested in it as an institutional response to a hard problem of rights balancing, we cannot shrug the holistic questions an institutional designer must answer. This all-things-considered enquiry does not necessarily have to be driven by the Court. Such judgements are often labelled as ‘legislative’ and there is a reason for that. But the more the Court entrenches the approach and requires other actors to follow it, the stronger becomes an argument for a degree of institutional responsibility, albeit one that is likely to be more effective if it is conducted together with the government and other actors. If there is something that South Africa’s meaningful engagement can learn from jurisdictions like Colombia and India, it may have less to do with articulating the bolder concrete entitlements the Court’s progressive critics usually seek, and more to do with how courts can facilitate these broader public enquiries if need be. Both systems have seen judges step back for more holistic evaluations, including of their own activity. Such a suggestion remains provocative in the context of the South African Court, and the odds are against it being taken up. But one does not need to adopt the most expansive or judge-led versions of such enquiries to see why, whoever prompts or conducts it, there is a growing need for more meaningful engagement about meaningful engagement. 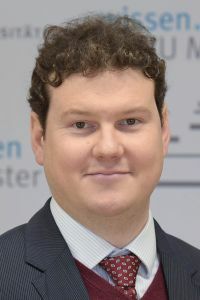 By James Fowkes, Professor of Foreign and International Law at the Westfälisches Wilhelms-Universität Münster, Germany. Professor Fowkes is the author of Building the Constitution: The Practice of Constitutional Interpretation in Post-Apartheid South Africa (CUP, 2016).